Africa Adventure Consultants is a boutique safari operator organizing luxury to basic adventures throughout East and Southern Africa, with destinations including Tanzania, Kenya, Namibia, Botswana, Malawi, South Africa, Zambia and Victoria Falls. Adventure Consultants applies first-hand knowledge when planning safaris combining attention to sustainable travel and lightening the footprint we leave on the African continent. John and Gregg had the pleasure of visiting Jane Goodall at Gombe where she has been doing research for nearly 40 years and are planning to back to Africa as soon as they can. They are definitely interested in a more sustainable sort of travel experience on their next safari. Meeting Jane in Gombe was an incredible experience for them, so much so that they decided to host a fundraiser dinner at their home in Montecito to introduce their friends and colleagues to Jane and the work of the Jane Goodall Institute. John and I were the lucky guests of a good friend of ours who is quite the philanthropist. 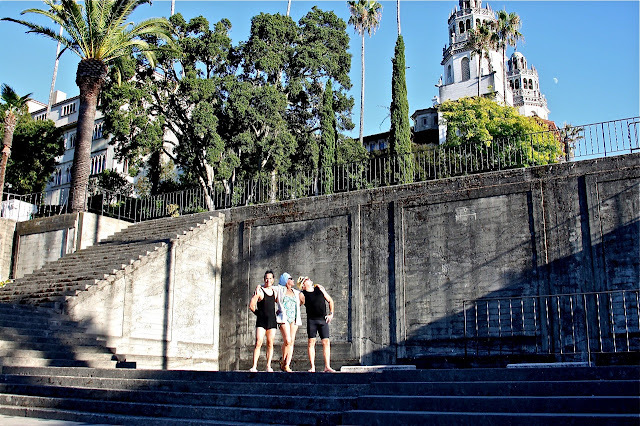 She recently gave a generous donation to Planned Parenthood , which resulted in a private tour of Hearst Castle followed by a swim in the Neptune Pool and Roman Pool at the Castle! 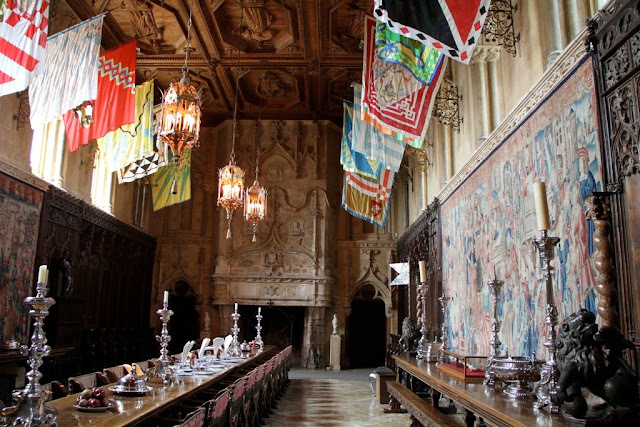 Hearst Castle is part fantasy, part folly. 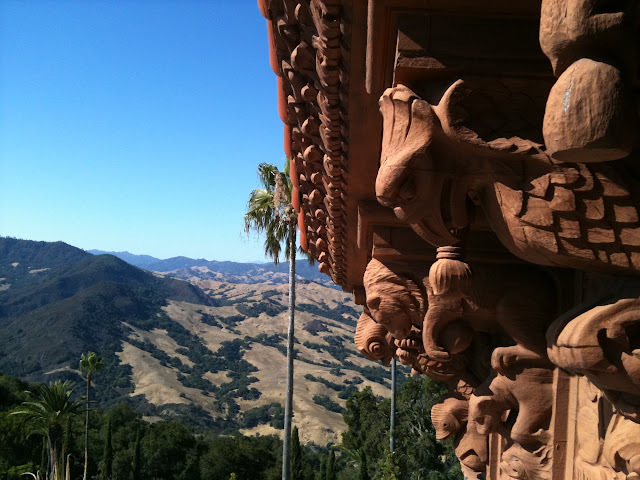 Its fanciful towers dance up a hillside above San Simeon–a palace perched on a most unlikely site. 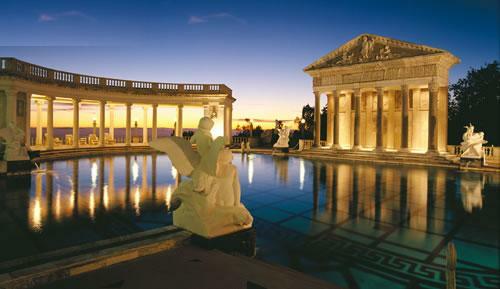 www.hearstcastle.org Its eccentric and energetic founder and creator, William Randolph Hearst, was a powerful businessman and icon of the early 20th century. Hearst’s taste for art was developed on a trip to the Louvre in the 1870’s as a child, where he asked his wealthy mom, Phoebe, if she would buy the museum for him! That was the beginning of a lifetime of collecting art and creating venues for his ever-expanding collection. 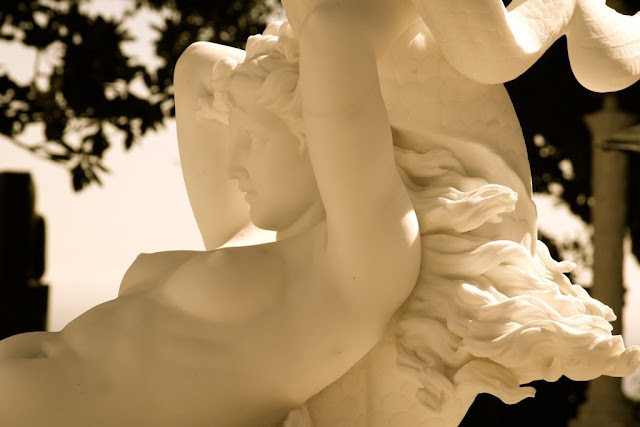 From the sublime to the bizarre, the collection amassed and stored at Hearst Castle is truly impressive. 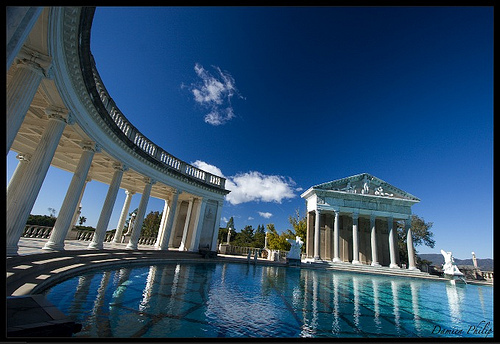 It seems implausible that someone as prolific a collector and builder could actually do any other work in their lifetime, but the Hearst media empire was one of the largest of the media conglomerates of the 20th century, spanning film to newspapers. 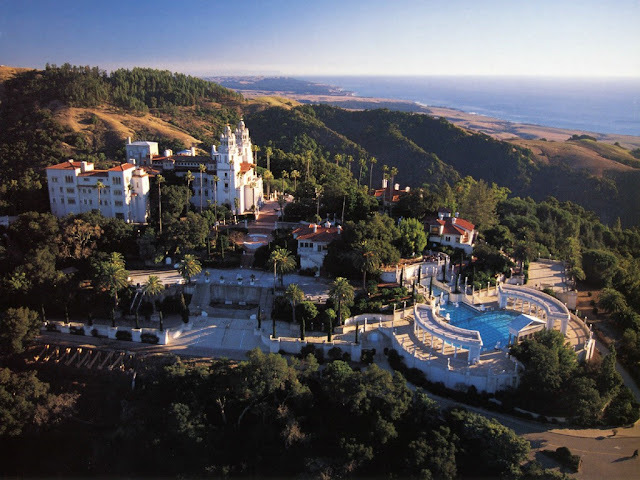 Today, Hearst Castle happens to be the most visited state park in the California State Park system, but the stories that one could imagine occurring on that hillside in the 1920s and 1930s with every luminary from Winston Churchill to Louis B Mayer, from Mary Pickford to Errol Flynn, must have been magic! It seems that through actress, Marion Davies,’ longterm relationship with both WR Hearst and “the bottle,” spirits were limited to 2 cocktails per day during ones stay at the “ranch.” Like most things in Hearst’s life, everything was tightly controlled. 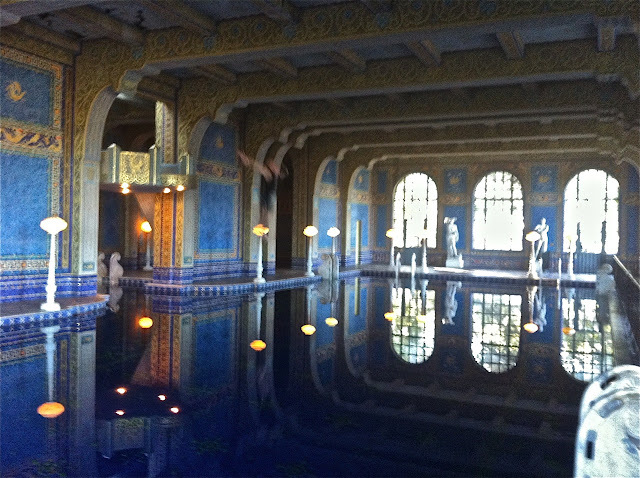 Our swim was followed by a private dinner for 6 poolside in the Roman Baths. 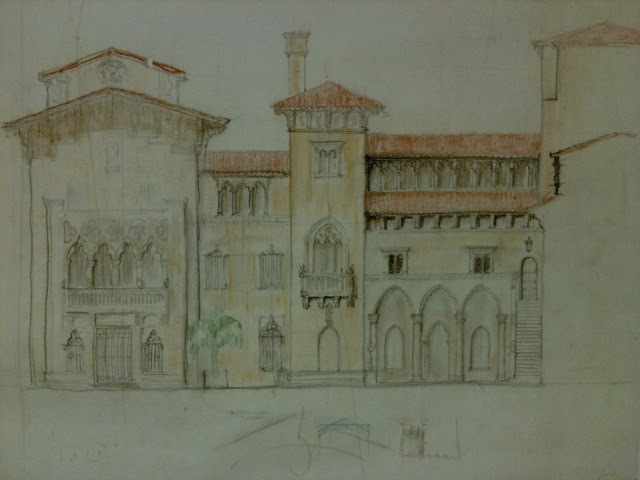 To have access to the seldom-visited areas of the Castle where no tours go, and to access archives filled with volumes of original plans, notes and artifacts that filled this museum of a home, was a treat. Our tour was guided by the director and curator of the collection. 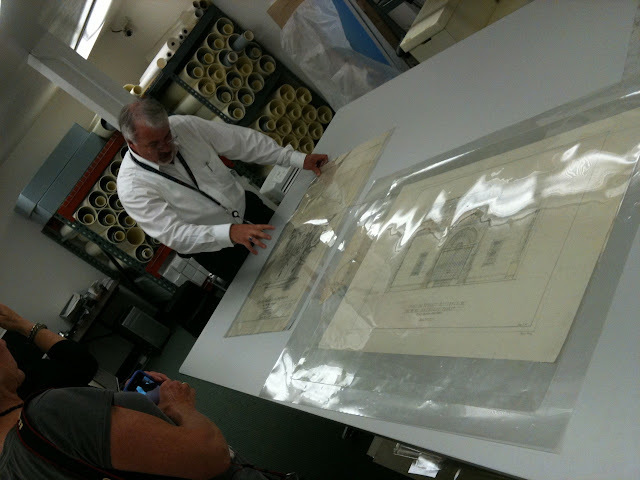 We were shown the archive vault where all of the correspondence and architectural drawings between Julia Morgan and Mr. Hearst are safely stored. 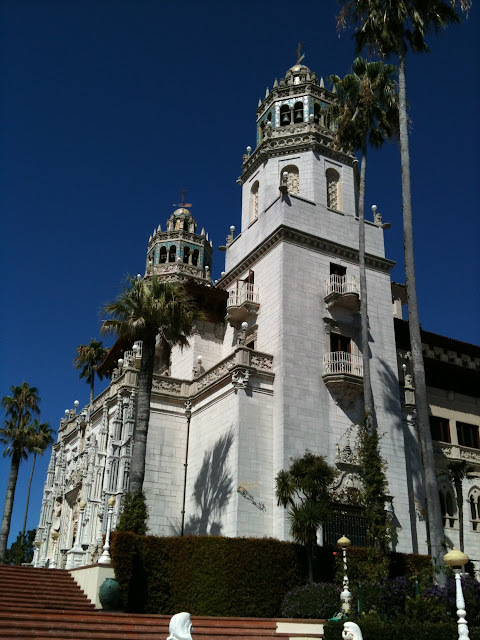 It was fascinating to witness the “intellectual affair” these two were having over the design and construction of Hearst Castle. John’s jumping into the Roman Pool from the beautiful dive platform was an experience. But, the best part of the day was to share it with friends and to have the house all to ourselves, just we six, taking a step back in time. Here we were, living like movie stars! Thank you Cyndee! A few years back Gregg and I went to Kyoto Japan to buy Ikebana Baskets for a show we were curating at our Gallery in Santa Barbara. 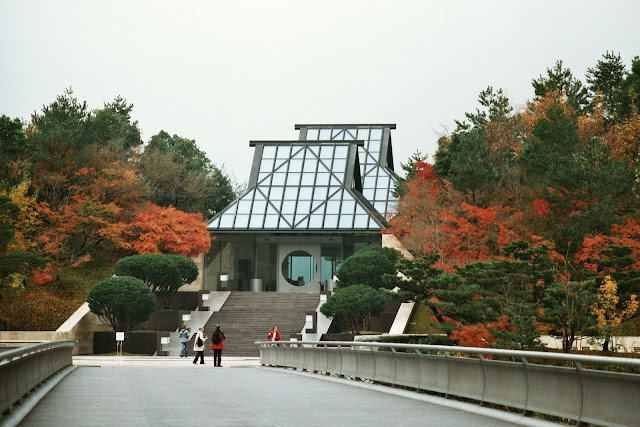 While there, even though we didn’t have much time we made time to visit the Miho Museum. Off the beaten track, for sure, but so well worth the effort. 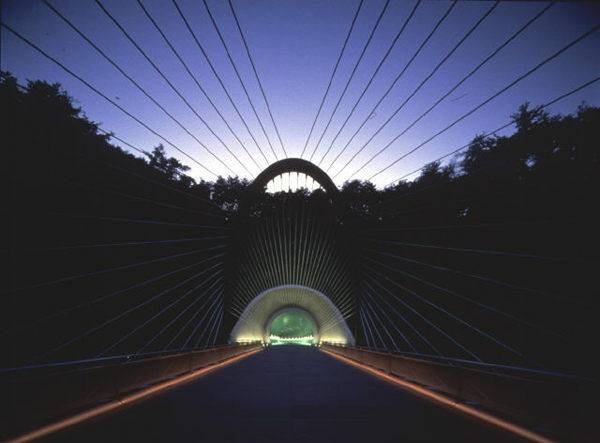 The Museum is Southeast of Kyoto near the town of Shigaraki, in Shiga Prefecture. 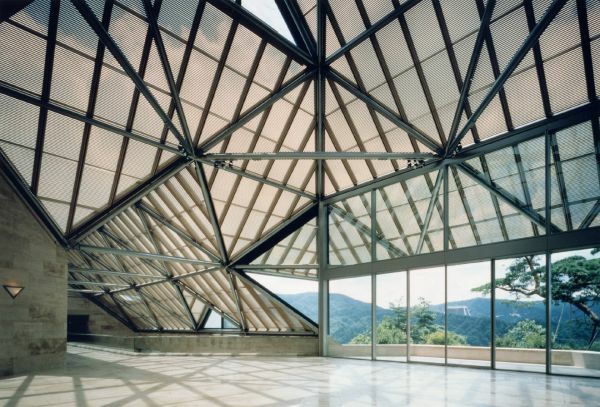 The Museum house the private collection of Mihoko Koyama the heiress to the Toyobo Textile business. The museum is named for her. I.M. 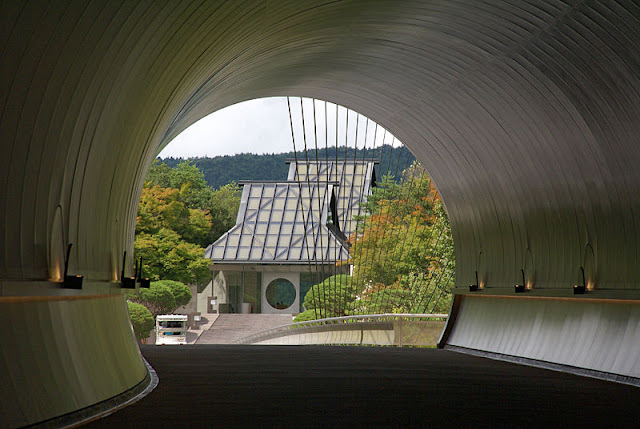 Pei the Architect that Mihoko Koyama commissioned to design the museum referred to it as “Shangri-La” Evidently because hi design for the approach to the museum involves a long walkway on a bridge across a gorge and then through a tunnel through the hilly landscape. When one emerges out of the tunnel “you have arrived in “Shangri-La“. Pei used the same French Limestone he used at his Louvre Pyramid in Paris. The structural engineers were LERA. Leslie E. Robertson Assoc. 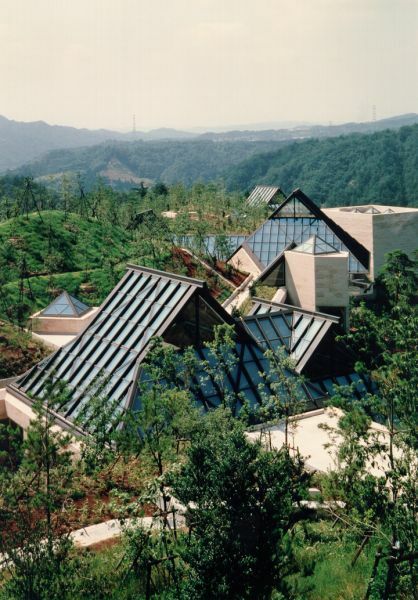 75% of the museum’s structure was built into the excavated mountain top. The earth was re filled over the structure essentially making most of the museum underground. 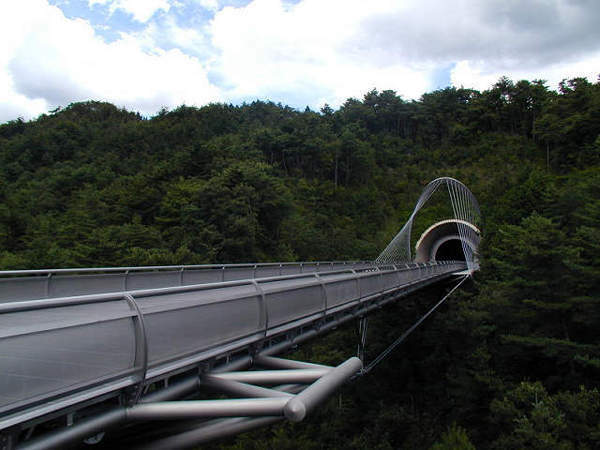 The effect is that the forested hills are embracing the museum and that the whole environment is harmonious with nature. The Flying Boat returns! 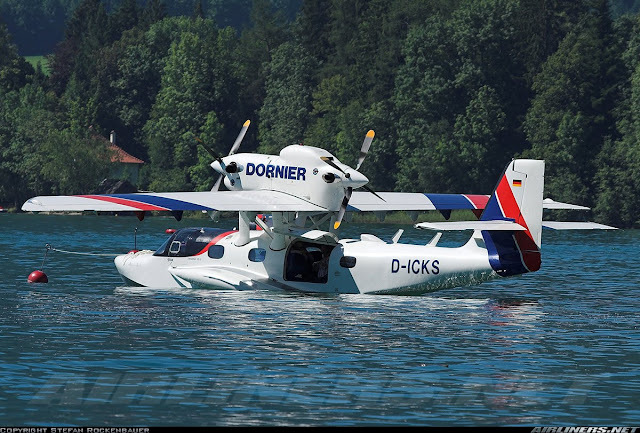 Dornier’s Seastar CD2 is a fully certified all composite twin engine amphibious Seaplane. It is the first new design for an amphibious plane in 50 years and developed by a company that has been the leader in the aero-marine industry since the early 20th century. 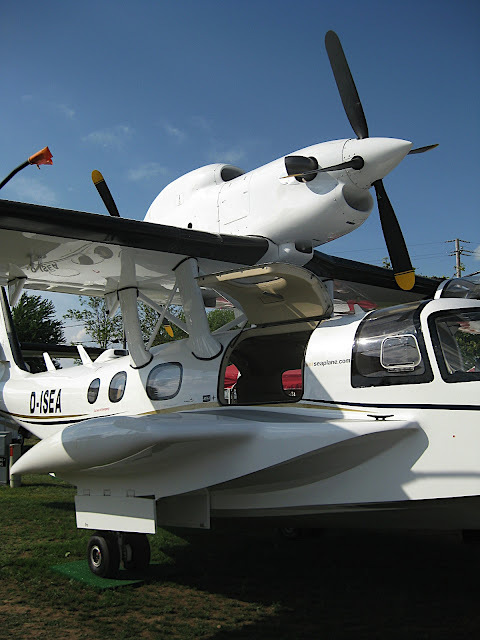 The Seastar is an FAA- and EASA-certified amphibian capable of landing on runways or water. A true seaplane that easily handles fresh or salt-water swells up to two and a half feet, the Seastar and its all-composite construction is virtually impervious to corrosion. Its powered by two reliable Pratt & Whitney PT6 turboprop engines that give it a high cruising speed of 180 ktas. The in-line design of the twin-engines provides an additional measure of safety during operation. Dornier’s Image Gallery. Image above from Airliners.net. New Year Fireworks Around the World – Happy New Year!!! December 31, 2009	in Luxury Travel, Media, Videos	with Comments Off on New Year Fireworks Around the World – Happy New Year!!! Happy New Year. May 2010 be so much better than this past year. Here are some images of celebrations throughout the World. We will update this post with current fireworks displays for 2010 beginning with Sydney who goes all out every time as being one of the first celebrants of the New Year. Usher on 2010! By the way did you know that Fireworks were invented accidentally 2000 years ago by a chinese cook during the Song Dynasty and were fires used for New Years Celebrations to scare away evil spirits! Sydney Australlia the 1st to go! Taipei on Tallest Building in the World!